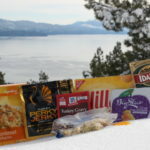 Get outside this holiday season and enjoy a Thanksgiving backpacking dinner. Our one pot holiday meal is lightweight, quick cooking, and filled with authentic flavors. Start a new tradition and spend more time outside this season! What makes Thanksgiving dinner so special is the variety of foods that come together on the same plate. Each bite offers seemingly endless flavor combinations. Relax with a warm beverage and appetizer before you start cooking. A wilderness charcuterie board is a classy way to snack, and it pairs very well with a Pine Hot Toddy. Preserved meats and hard cheeses can last up to a week without refrigeration. 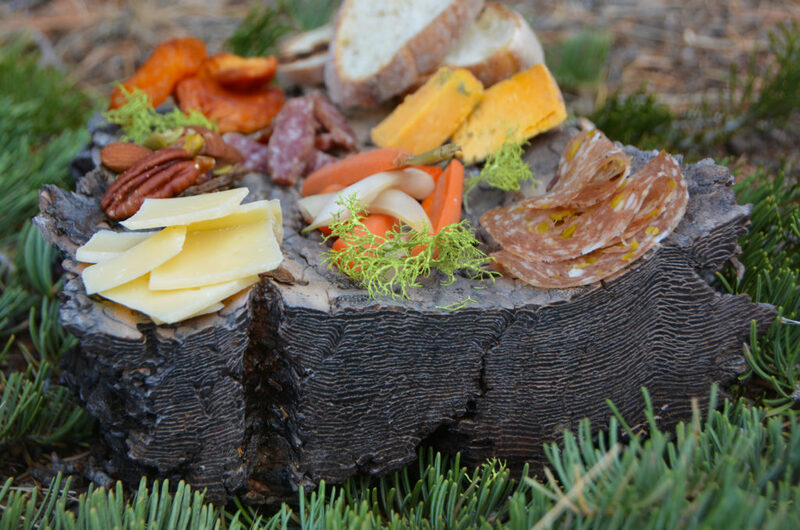 Pair your favorite meat and cheeses with dried fruit and crackers for a simple and sophisticated wilderness starter. Traveling with a group? Throw a pot luck! Encourage your companions to make their favorite holiday themed dish. If you need inspiration we have some fantastic, easy to share sides like Bacon Mac and Cheese and Summit Soup with Quinoa. Don’t forget to pack an extra stove, pots and utensils. What is the best way to use any leftovers? Pita bread leftover sandwiches for the next day’s lunch. 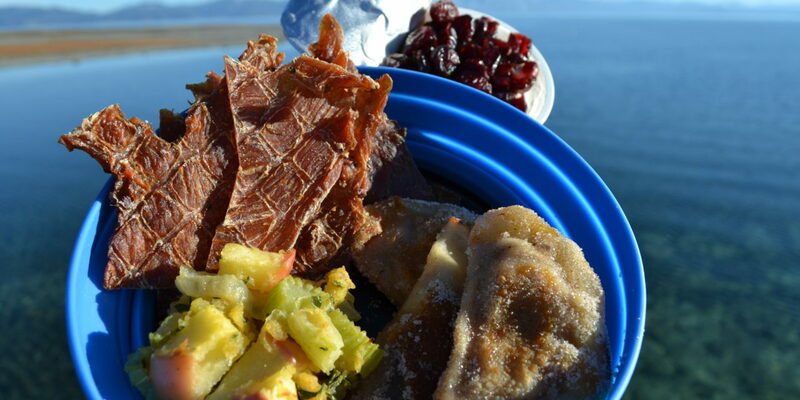 A lightweight, backcountry friendly version of a traditional holiday dinner. 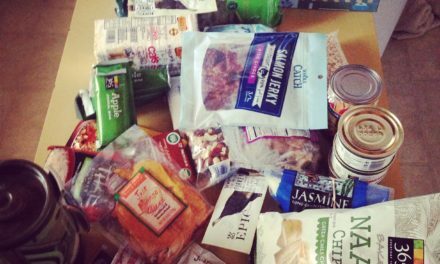 Measure all ingredients into individually portioned containers before you hit the trail. This way you won't have to carry extra supplies or worry about measuring in the backcountry. Pour 1/2 cup water into cooking pot, and turn stove on high. Before water comes to a boil, dump in 1/2 cup stuffing and 2 tablespoons Turkey Gravy. Stir for 20 seconds, then turn stove off to save fuel. Add 1/2 cup water and 1/2 cup Idahoan Mashed Potatoes, turn stove back on high, while constantly stirring, and cook for 30 seconds. Keep stirring until potatoes thicken and become creamy. When potatoes are creamy the dish is ready. 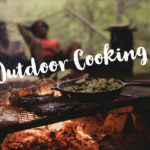 Serve out of cooking pot, or pour into a backcountry bowl. Open bag of Big Slice Kettle Cooked Apples, and place opened bag on a sturdy surface. The packaging is thick, so bag can serve as a serving container to avoid extra mess and clean-up. Dip Nilla Wafers directly into apples, or spoon apples and sauce onto cookies.